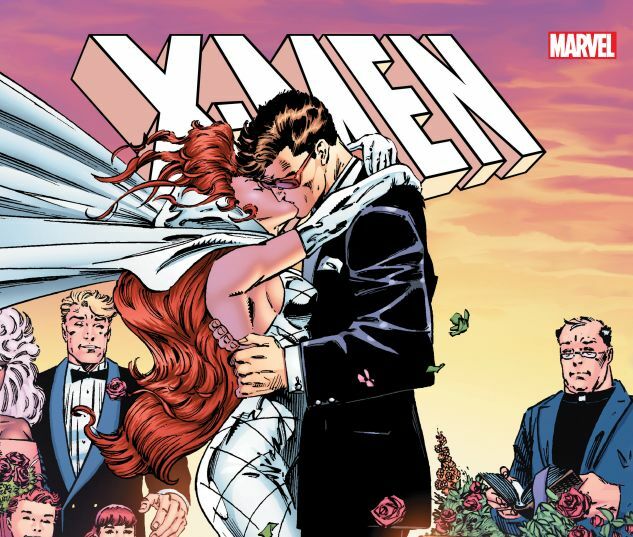 Wedding bells are ringing for the most star-crossed super hero couple of all: Scott Summers and Jean Grey! But there’s a ton of action to go with the romance as the X-Men and Avengers must keep Magneto’s Acolytes from destroying Genosha, the mutant-killing Legacy Virus hits close to home, and Professor X decides to rehabilitate the monster known as Sabretooth! But love conquers all when Jean and Scott tie the knot at last — before a mind-bending honeymoon to the far future, where they must raise Cyclops’ long-lost son and overthrow the planet-conquering Apocalypse! Collecting X-MEN (1991) #26-35, AVENGERS (1963) #368-369, AVENGERS WEST COAST #101, UNCANNY X-MEN (1981) #307-310, CABLE (1993) #6-8, X-MEN UNLIMITED (1993) #3, UNCANNY X-MEN ANNUAL (1992) #18, X-MEN: THE WEDDING ALBUM, WHAT IF? 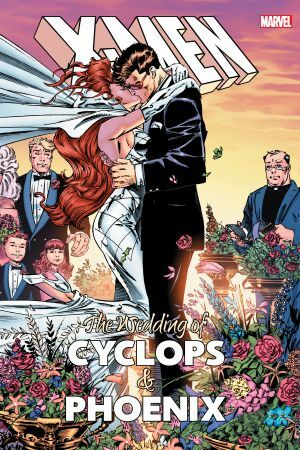 (1989) #60, ADVENTURES OF CYCLOPS AND PHOENIX #1-4 and material from MARVEL VALENTINE SPECIAL.